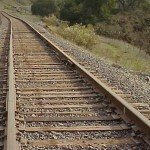 Do you have any non-Christian friends? I’ve been in the church so long, I don’t have any non-Christians friends. Therefore, I don’t have anyone I know that I can pray for. I don’t know my neighbors, so how can I pray for them? I picked up a concept from a presentation years ago that has stuck with me. 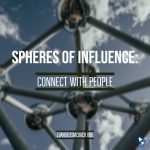 It gives you the opportunity to take an inventory of your current relationships in your three spheres of influence in your life. 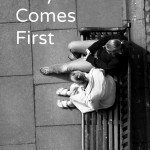 These relationships may not be deep, but you already have regular contact with these individuals. There are many different personal evangelism methods being taught these days in the body of Christ. In part, these different evangelism methods are an outgrowth of different strengths, personalities, personal preferences and diversity in the body of Christ. Evangelism trainers like myself have found these different ways to help nervous people grow more comfortable in sharing their faith with others. [Read more…] about What is relational evangelism? I’ve been in the Church for so long that deep friendships with people apart from Christ have been neglected. I’ve filled my day with work, managing the lives of my children, administrative and planning for the local church, and running an international ministry. Recently, I’ve been having a season of reading and re-reading a bunch of books relating to personal evangelism in a more relational style. I’m particularly looking at intentional ways of building relationships of with people who are apart from Christ. 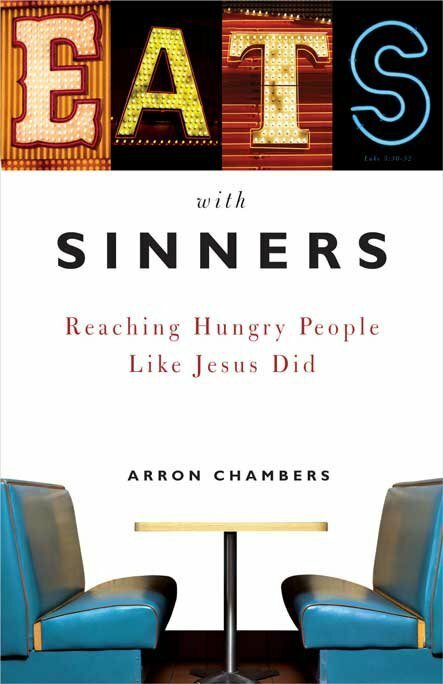 One recent good book in this area is Eats with Sinners: Reaching Hungry People Like Jesus Did by Arron Chambers. This pastor from Colorado shares lots of his experiences in developing relationships with people who don’t know Christ. Arron suggests that we set up regular times to meet with people who don’t know Christ, and to share a meal with them. Meal times allow for that context for authentic relationships to happen. 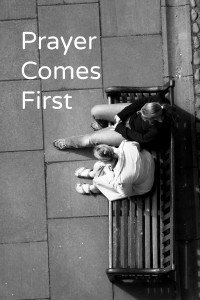 Over those meal times, we develop a genuine relationship, and eventually get to the place share sharing needs and concerns between us. We’ve moved from weather, to family, to deep personal concerns. There, we find opportunities to share our stories of what Christ has done for us, and how our lives have been changed because of this. As you read Eats with Sinners: Reaching Hungry People Like Jesus Did, I believe you will be challenged by the intentionally that we must have to spend quality time with people who don’t yet know Christ. In my coaching ministry, I see churches that want instant results – like baptisms within a week of a huge weekend outreach. In a conversation with my own pastor recently, I looked at my own life and this week and realize that I’ve not made enough space to be with people outside the church. One church I coached last year got intentional. In 6 months, 6 new people belonged to the Lord and 3 had already taken baptism. It was the fruit of being intentionally present with people. Taking the time to develop true relationships will lead to stronger disciplemaking and deeper faith committments in a local church. It increases the “stickyness factor” and relational strength to the local church. Chambers gives different creative ways of bringing Christ into your conversations and your daily life and using it to share the Word. Since sharing meals is the theme of Eats with Sinners: Reaching Hungry People Like Jesus Did, recipes are peppered in sidebars and call out pages. Some of them look really good. At the end of each chapter are questions for digging deeper. Also, there are practical suggestions throughout the book for how we can put into practice — some practical ways that we can do more to reach the lost. You could use Eats with Sinners: Reaching Hungry People Like Jesus Did as a personal devotional book, or use it in your small group that is focused on holding one another accountable to being with people. Note: The publisher provided me a review copy, with perfect liberty to say what I really think. If you buy this book from Amazon through any of the links, Amazon will send me a thank you gift.